Pinger’s free texting and phone application Textfree is continuing to see booming growth. The app, which has been downloaded over 14 million times for iOS and Android devices, uses an ad-supported model to provide free SMS and voice calls to users and now ranks among the top mobile carriers by volume of messages exchanged. And it’s hitting some impressive milestones. For those that haven’t used it, Textfree gives users a free, unique phone number which they can use to send and receive free text messages through the service’s mobile app. That’s nice on mobile phones (you don’t burn through your carrier SMS allotment), but it’s proven especially popular on the iPod Touch, which can’t typically send or receive text messages. Users are now exchanging over 1 billion text messages per month through the app (to give some context to that, in September Textfree had exchanged 3.5 billion messages cumulatively since its launch in March 2009). But Textfree isn’t just for texting any more. 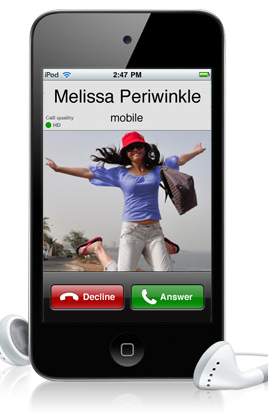 In December, the application added support for free voice calls. This is especially important for those iPod Touch and iPad users, who typically can’t make or receive phone calls — Pinger says that 80% of calls are from non-phone devices. Users are allotted some free minutes for starters, and they can opt to ‘earn’ more minutes by completing Offers inside the app (these include offers incenting users to download other iPhone apps). Pinger says that 1 million voice minutes per day are being consumed on the app, and that 2 million minutes are ‘earned’ daily via these offers. Textfree’s competitors include GOGII’s textPlus, which has 7.7 million active users and a bigger focus on groups and media sharing (and doesn’t offer voice calling).